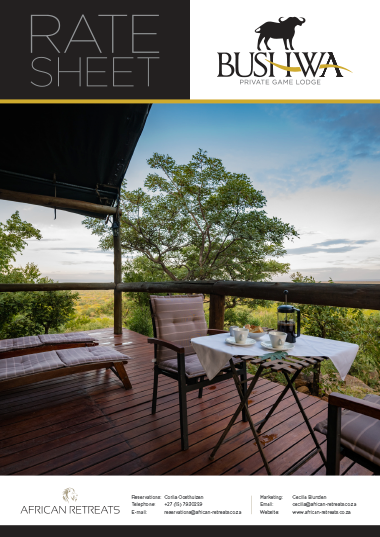 Perched high on a koppie with expansive views of the Waterberg Mountains, Bushwa Private Game Lodge is the perfect spot for a weekend safari in a malaria free area in the Limpopo Province. 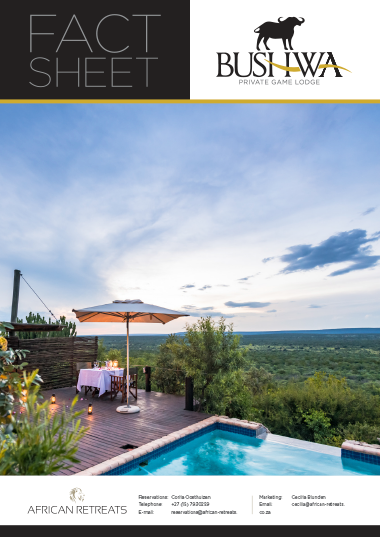 This luxurious lodge has a variety of accommodation options, including luxury safari tents and chalets with private balconies. There's even a remote, romantic treehouse overlooking a waterhole that certainly sets the standard in terms of an exclusive romantic wilderness experience. Bushwa offers a variety of activities from guided game drives, to lazy days at the swimming pool and soothing spa treatments. 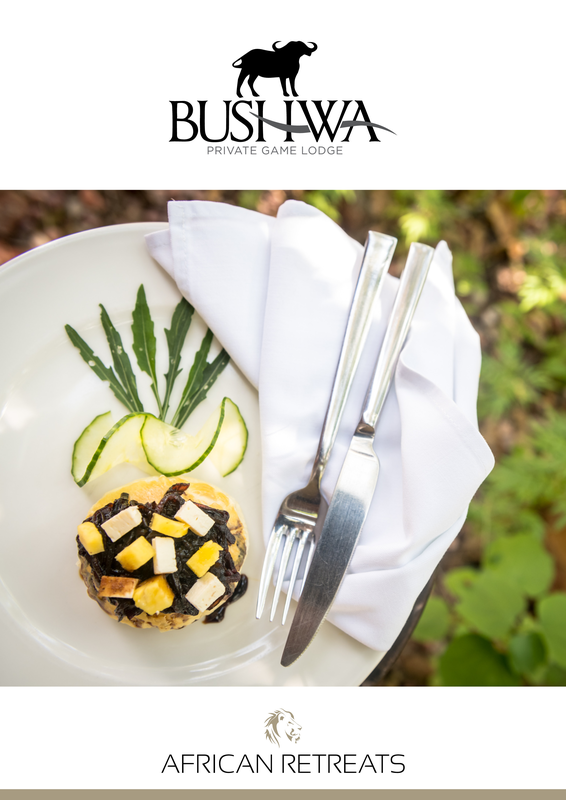 Bushwa is a piece of bushveld paradise designed to relax the soul and engulf the senses. 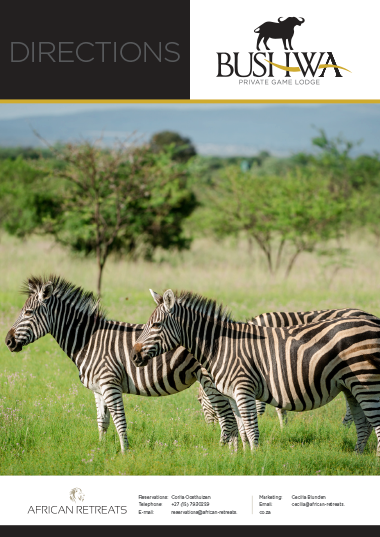 Bushwa Private Game Lodge is located in a private reserve within the Greater Waterberg Biosphere in the Limpopo province. The nearest town is Vaalwater, which is roughly a 2 - 3 hour drive from O.R Tambo airport. It's a very simple self-drive route, with toll gates en route to your destination. The road you follow is basically the N1 from Pretoria - a simple and straight route with few turns. Bushwa really is easily accessible from major international airports and city centres. Bushwa is the perfect weekend breakaway offering a luxury experience in a sought after malaria free area!